Click the button below to add the The Fourth Turning to your wish list. 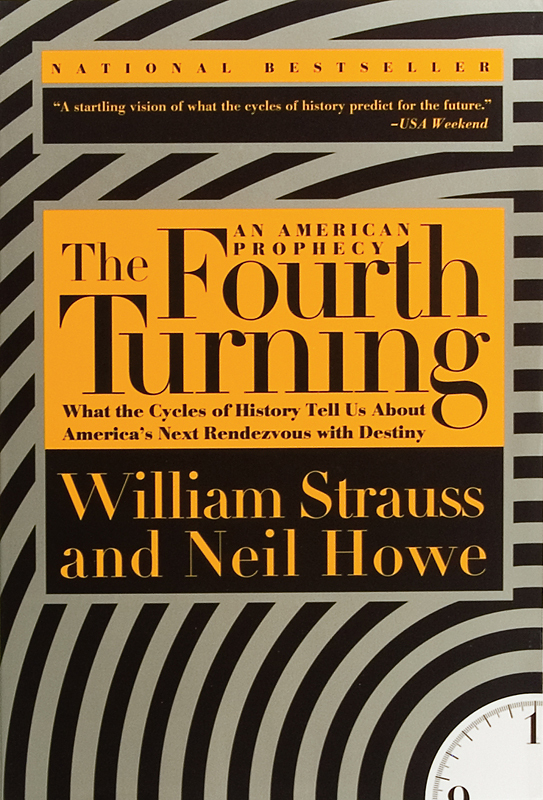 Looking back to the dawn of the modern world, The Fourth Turning reveals a distinct pattern in human history, cycles lasting about the length of a long human life. Each cycle is composed of four “turnings,” and each turning lasts the span of a generation (about 20 years). 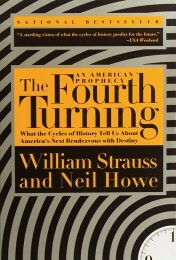 There are four kinds of turnings (High, Awakening, Unraveling, Crisis), and they always occur in the same order. — Dan Yankelovich, Chair of D.Y.G. Inc.